Goods are not available at the moment We do not accept orders for the delivery of this product. We do not have information as to when this product will be available. Our suppliers currently do not provide information about possible delivery times of the product and the possible price when it is on sale again. Dateks.lv website provides information about this product for information only, so that customers can see the product and compare it to the products available for sale now. Show similar specs. Hide similar specs. 15.6"	 15.6"	 15.6"	 17.3"	 15.6"
We offer to buy a powerful compact class computer for 3D games MSI MSI GF63 with a NVIDIA GeForce GTX 1050 Ti graphics card and Intel i7-8750H, 2.2GHz processor. Anti-glare screen coating ensures great visibility of the screen in light conditions eliminating the unpleasant glare and allowing to perform important tasks without any disturbance. Windows 10 Home attests that this computer is 100% ready for work. Use it straightaway after switching it on as the manufacturer has taken care of installing legal software. USB 3.0 enables lightning-fast exchange of data between computers and modern external drives or flash drives that support USB 3.0 connection. Bluetooth wireless connection of peripheral devices for connecting the latest smartphone, wireless mice and keyboards. WiFi 802.11 ac card for wireless connections ensuring the possibility of wireless connecting to the modern routers and computer networks. The webcam integrated in the screen for chatting over Skype network or using other video communication applications. HDMI port enables connection with modern TV's and other devices, using HDMI cable. Built-in Stereo speakers for wholesome enjoyment of music and films. This model has 2 year warranty provided by MSI at all certified service centres. The weight determines the mobility class of a portable computer. In the category of standard portable computers the weight ranges from 2 to 3 kg. If you wish to have a computer that can be carried around as easily as possible you should choose a computer of the mobile (1.2 - 2.0 kg.) or ultra mobile (1.2 kg or less) category. The display size describes the size of the visible part of the screen of your portable computer across the diagonal in inches. Average portable computers have 15.4" standard or 15.6" wide-screen displays. The ultra compact category portable computers have the display size of about 10,1". Some portable computers have the option of turning the screen to the angle of 180 degrees and close it with the keyboard – the result is a true tablet computer without a keyboard. These models are sometimes referred to as transformers or tablets - they can be used both as a standard portable computer and as a tablet computer. This option is very handy for reading or, for example, drawing when the keyboard is not required. Portable computers that are positioned as a replacement of desktop computers sometimes have the screen as big as 17". A bigger monitor is usually required for editing graphics or reviewing big-size tables, etc. However, it has to be considered that a bigger screen means a bigger size and usually also a bigger weight of the computer, besides it can be damaged more easily during opening and closing. The maximum resolution of the display indicates the number of colour points (pixels) on the computer screen. The higher the resolution the better quality (more detailed) image. For example, 1366x768px means that your computer has 1366 points horizontally x 768 points vertically. High resolution provides more information on the screen and this is directly related to the size of the screen. Nowadays even a 12.1 inches screen can have 1024x768 resolution. At the first glance it looks that this resolution is too high for this size of the screen, however, high resolution provides more comfort. WVGA (800x480) is characteristic for old portable computers and mini tablet computers of the new generation. WSVGA – ultra mobile portable computers with the display of 10.1’’ (the resolution of 1024x600 can be seen more often). WXGA (1280x800) – this resolution is mainly characteristic of 12.1’’, 13.3’’, 14.1’’ screen with the relation of sides of 16:9. HD 1366x768 and 1600x900 is a widespread resolution for the budget and middle class portable computers. Full HD (1920x1200) resolution combined with high capacity video cards (NVidia Quadro FX vai ATI FireGL) is intended for the professional level 3D modelling work. WUXGA (1920x1200) – ultra extended graphical arrangement (screen16:10) is intended for watching HD TV. Attention has to be paid also to the contrast and brightness of the screen. The screen must have the maximum brightness for using the portable computer even in very bright lighting conditions. 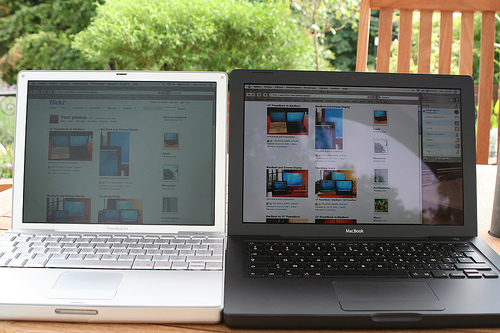 The screens of portable computers are divided into Glare, or flossy and AntiGlare, or mat. The advantage of the flossy screen is better contrast, colours and sharpness, therefore this type of monitor is preferred by home users. The disadvantage of this screen is the glare which disturbs seeing the image in bright lighting. AntiGlare, or mat screens to some extent prevent the glare problem by "scattering". This type of screen is usually used in business class computers intended for working with documents and accounting systems. Processor family indicates the generation and class of the processor. The newest generation of processors includes Intel SandyBridge, AMD Fusion and A-Series processors. Core i3: the performance class processor for a broad range of applications. CPU clock frequency is the indicator of the operation speed. A CPU with a higher clock frequency will have a higher speed compared to a CPU with analogous other technical indices. The clock frequency of two or more core CPUs is indicated for each core, thus, when the performance of CPUs is compared a CPU with the clock frequency of 2Ghz and one core is deemed less powerful than another CPU with the same clock frequency and several cores. The CPU cache memory is the memory volume that is built-in in the CPU of a portable computer and is a decisive indicator of high-speed operation. 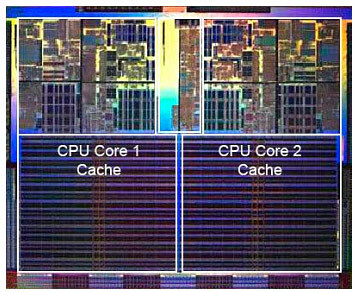 A CPU with bigger cache memory is faster than a CPU with equal other technical features. The CPU type indicates what is the manufacturer and model of the CPU forming the base of your portable computer. recommends a portable computer with Intel i3 CPU to demanding users. This index determines the number of cores in the computer CPU. Each core is like a separate CPU that is capable of operating various applications separately. Thus, if there are several cores the operating system of the computer can distribute the load evenly between cores, so that the computer user can, for example, listen to music, browse the Internet and download files at the same time. The processor clock frequency is among the main criteria of the processor performance. 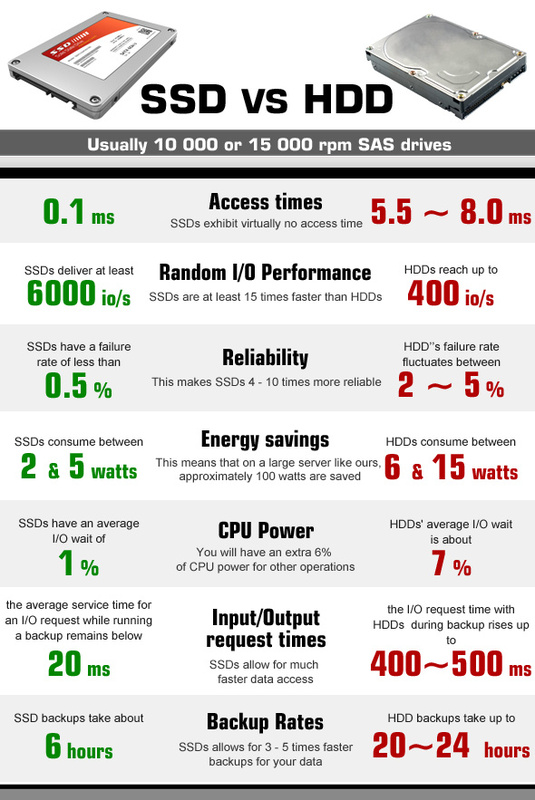 This index determines the number of operations that each CPU core can perform per second. The higher the CPU clock frequency the faster the computer will be perform the given computing tasks. The ability of the CPU to increase the performance (the clock frequency) of one or several cores on the account of the stand-by of other cores. This function is switched on only when the computer needs an additional capacity "push". 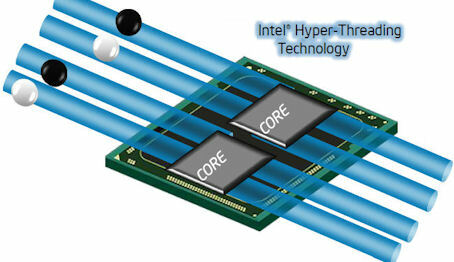 HyperThreading is the ability of the computer CPU to process several data flows in each core. For the two core CPU the HyperThreading is 4 and it means that certain tasks can be handled by this two core CPU at the same quality as the four core CPU. The CPU cache memory is the place where the CPU stores (buffers) the data intended for processing for a short time. The volume of the cache memory is important in determining the high-speed operation of the CPU and, thus, the overall high-speed operation of the computer itself. Bigger volume of cache memory means higher-speed operation. at the moment of opening an application stores it in its microchips, thus the memory capacity determines how many applications can be run by your computer simultaneously and also with how big data volume (pictures, texts, webpages) you can operate at once. Thanks to the dense placement of chipsets the RAM of a portable computer has the same characteristics as the RAM of desktop computers. recommends to use 3Gb or higher capacity RAM for general use. This criterion determines the type of the RAM used by the computer,m and this is useful if you want to buy an additional memory module when you buy the computer or upgrade the existing RAM capacity in future. The newest type of memory is DDR3. DDR2 represents an older generation accordingly. The high-speed operation of the RAM as well as the upgrading possibilities are determined by the index - the type of RAM. recommends to buy a portable computer with DDRIII type RAM. Free memory slots indicate the upgrading possibilities of a portable computer determining how many additional memory modules can be added to this portable computer. The possibilities of upgrading the RAM also depend on the type of the RAM as well as on the amount of Mb included in the basic setting of the computer. Maximum RAM is the indicator of the upgrading possibilities of the portable computer determining how many Mb of RAM are supported by * this model of the portable computer. *The possibilities of upgrading the RAM depend on the number of available free memory slots and on the amount of Mb memory in the basic configuration of the computer. The hard disc is a component of the portable computer storing the operating system, applications and your files. Its size determines how many applications and files can be stored there. The capacity of the hard disc is measured in Gigabytes.(Gb). When you select the capacity of the hard disc you have to consider what you plan to store there in the near future. Data volume will most probably increase and the new technologies will require higher memory capacity. HDD rotations is the index of the operation speed of the HDD. The HDD rotation index of an average portable computer is 5400rpm. If you want the data copying, uploading of the operating system and applications to operate at high speed we recommend to buy a computer with the HDD rotation speed of 7200rpm. *portable computers with the HDD rotation speed of 7200rpm have a high electricity consumption. If you select this type of computer we recommend to check if the parameter "battery time" complies with your requirements. Video card is a device that displays information on the screen of a portable computer. This parameter indicates what is the model and manufacturer of the video card integrated with the portable computer. However, you can forget the visually impressive and 3D graphics shooting or driving games because this is an integrated video card. An integrated video card usually uses a fraction of the basic memory of the portable computer. For office and study use Dateks recommends to buy a portable computer with Intel HD Graphics video card. For playing 3D games and using graphics applications we recommend to buy a portable computer with ATI Radeon, Intel HD or Nvidia GeForce series video card. If 3D modelling is the major type of use - AutoCAD, Maya, 3DMAX, we recommend to buy a portable computer with Nvidia Quadro or AMD FirePro card. The parameter "video card memory" indicates whether the video card will use a fraction of the RAM of the portable computer for performing its functions or the video card has own memory of a certain amount of MB. The indicator "operating system" determines what legal operating system license is included with the computer. The license of the operating system guarantees the legal use of the computer operating system attested by a legal document – Genuine sticker on the housing of your portable computer. OEM means that you are buying a computer with the operating system enclosed and you use this operating system in the computer with the relevant Genuine license sticker on teh housing. The price of the OEM license is much lower than the standard Retail license price that you have to pay if you want to buy software after you have bought the computer. recommends to buy a portable computer with MS Windows 7 OEM operating system. The Microsoft® Windows® 7 OS is secure and easy to use. Your daily tasks can be performed and browsing can be done with a less number of clicks, the tasks can be performed better, it is fast, secure and reliable. With Windows 7 you will discover new possibilities of your portable computer. Windows® 7 Home Premium – opens unbelievable entertainment possibilities offered by your portable computer, you will be able to watch your favourite TV shows, enjoy photos, films or the music collection. Windows® 7 Professional – provides all that is necessary for your work and home. Windows® 7 Ultimate – has been created for people who want to have all. It combines both Home Premium entertainment features, as well as business features for professionals with added security and flexibility making the work in several languages easier. *The operating system of portable computers has been partially installed which means that when the computer is switched on it is necessary to enter the user's login data. After the data are entered the installation procedure of the operating system is automatically completed. This process can take up to 1 hour. During this time the portable computer must remain switched on and connected to a continuous power supply source. The optical device allows to listen to music discs, download music from CD to the portable computer. The writing device allows to archive documents nad presentations, to record music and video to CDs or DVDs. recommends to buy a portable computer with a DVD+/-RW optical device that can read and write almost any type of CDs and DVDs. DVD+/-RW DL differs in that this disc drive has double-layer DVD recording function. Despite the fact that CDs are less often used for storing and transporting data the disc drive is useful when it is necessary to install applications. *Ultra light portable computers often do not have a built-in optical device for saving on the total weight of the computer. In this case we recommend to buy an external USB optical device. If you want to connect portable headphones or stand-alone, more powerful speakers to your computer you should certainly look for a computer with the connection slot for headphones. If you don't make your choice at once later it will be necessary to buy an external sound card which is an additional expense and quite often not a very convenient solution. This index determines whether the portable computer has the 1.8" mini-jack stero connector for connecting the classic headphones or computer speakers. If this connection is not available it will be necessary to buy the USB sound card for connecting these devices and this is an additional expense and inconvenience. 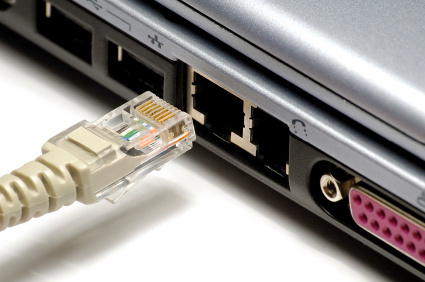 USB 2.0 is the most popular connection slot for the computer peripheral devices. Thanks to this connection slot it is possible to connect mice, keyboards, webcams, printers, USB flash memories, external HDDs and numerous other devices to the computer. The higher the number of available USB2.0 ports, the better. USB 3.0 is the newest and fastest USB standard that allows to connect all the devices of the preceding USB2.0 generation and the new USB3.0 generation. The true advantage of this connection can be seen when the USB3.0 external HDD or the USB3.0 flash memory is connected to the USB3.0 connector. This speed of operation of this solution can exceed the predecessor USB2.0 standard by several times and even the current speed record holder - FireWire connection. DisplayPort digital connection for transmitting the image and sound via one wire at high quality. 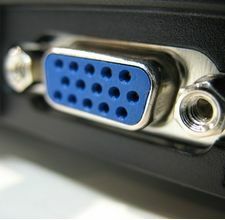 Contrary to the HDMI, this connection allows to connect several external monitors to the computer by using a single connector. Prior to buying the portable computer with the DisplayPort you should verify whether your monitor or TV set has the available DisplayPort plug. This device allows to copy photos from the memory cards of digital cameras without connecting the camera. All you have to do is to insert the relevant card in the reader and all its content is available in the computer at the very same moment. There are different types of cards (SD, MMC, xD, MS Pro, etc. ), therefore you should verify whether the selected card reader supports the required type of the card. By means of the transmission of the video image the webcam allows to communicate via skype, to participate in video conferences as well as to use vast possibilities offered by the Internet world. Stereo speakers are better than mono as they allow to feel the spatial features or the panorame. 2.1 speakers are the same stereo speakers with an additional low frequency speaker (subwoofer) for enjoying more realistic sound. Bluetooth connection provides secure wireless data transmission among various devices (at the distance of up to 150 m). This is a possibility for your portable computer to connect with your mobile phone, another portable computer, palmtop and other bluetooth devices without using any wires for exchanging Mp3 music, photos and documents. You can use bluetooth for connecting wireless headphones with a microphone, mouse, keyboard, printer and other devices supporting bluetooth connection. • connection to the Bluetooth personal network (PAN - this is the technology that allows to establish the Ethernet network with wireless links between portable computers, mobile phones and hand devices). *For establishing a connection with a portable computer with bluetooth; all the devices to be connected need the bluetooth support. Wireless is the wireless network connection via which the computer will be connected to the router or the access point. Nowadays the 802.11 B/G/N connection with the highest speed operation (150 -300 Mb/s) and highest security is most popular. Via 802.11 B/G it is also possible to connect to virtually all network, just the maximum speed will be 54 Mb/s in connections to the N type network. Which keyboard should be chosen - English or English/Russia - this choice depends on your needs and the language you use on daily basis. The arrangement of the keys of the keyboard should be as close as possible to the version of the keyboard of desktop computers. currently almost all the portable computers are equipped with the full-size keyboard (with a separate number pad). Function keys have to be located in a rational way, so that it is not necessary to get used to them by searching for them in unusual corners of the keyboard. Trackpoint is a small-size cursor-lever placed directly in the middle of the keyboard keys. It can be very handy because it is not necessary to take your hands off the keyboard as it is in case of a touch pad. This function is characteristics of many Lenovo ThinkPad series portable computers. This parameter determines whether the keyboard of the portable computer has a separate number pad. If you have to work with numbers and figures a lot you should certainly verify whether the selected computer has the numpad. The battery time indicates the approximate time how long your portable computer will be able to operate after it has been disconnected from the electricity supply when the battery is fully charged. The battery time depends on the configuration, performed operations and other factors. This indicator usually is based upon the testing results. The lithium batteries built-in modern portable computers usually provide the operation time of 3 to 5 hours and this time depends on the use and configuration of the computer. The maximum battery capacity reduces the time of use of the portable computer. Currently lithium batteries are used in computers and they replaced nickel batteries. It has to be taken into account that the lifetime of portable computer batteries is limited. The capacity decreases with time and it is necessary to replace the battery. *The battery time may decrease depending on the loading of the portable computer during the time when the battery is used as the power supply to the computer.